A pioneer in the hotel and restaurant business, Woodlands has grown to become a legendary name in the hospitality industry. Founded by the late Shree K. Krishna Rao over 87 years ago, Woodlands has always stood for highest standards in food and accommodation. The legend continues, now finding new expression in premium holiday home at Woodlands Resorts-Kodaikanal. Travel Counter, Safe Deposit Box-Front Desk, Family/Child Friendly, Express Check-In/Check-Out, Room Service, Front Desk, Welcome Drinks, STD/ISD, Gardens, Laundry Facilities. H/C Water, Television Room, Cable/Satellite TV, Safe In Room, Telephone, Complimentary Toiletries, House Keeping, Balcony/Terrace, Make Up/Shaving Mirror. 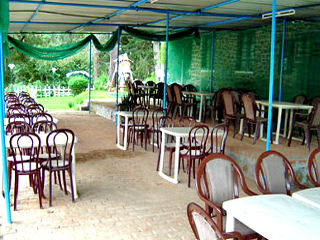 User reviews for "Woodlands Resorts Kodaikanal"